You just finished a delicious cup of tea. It seems like such a waste to throw away the leaves… but will the flavors still hold up if you steep them again? How can you ensure that the tea doesn’t taste too watery, or too bitter? Re-steeping tea can be a bit of a delicate art sometimes, but it can also be a great way to make your tea last and to save money. So, here are some tips and tricks that can help you in re-steeping tea that is tasty and satisfying. Many fine loose leaf teas are meant to be re-steeped. The flavors and aromas change and develop between steeps, creating an experience you’ll miss out on if you throw out your leaves as soon as you drink your first cup. This is the reason why loose leaf teas are often slightly more expensive. They will last longer, and give more and better flavors than tea bags. What Teas are good to Re-Steep? High-quality, pure teas are great for re-steeping. White, green, and black teas usually hold a good amount of flavor for up to three steeps. Pu-erh and oolong teas are especially good to re-steep, as their flavor notes evolve with each steep. For pu-erhs, the general rule is the older the tea, the more steeps you can get from it. 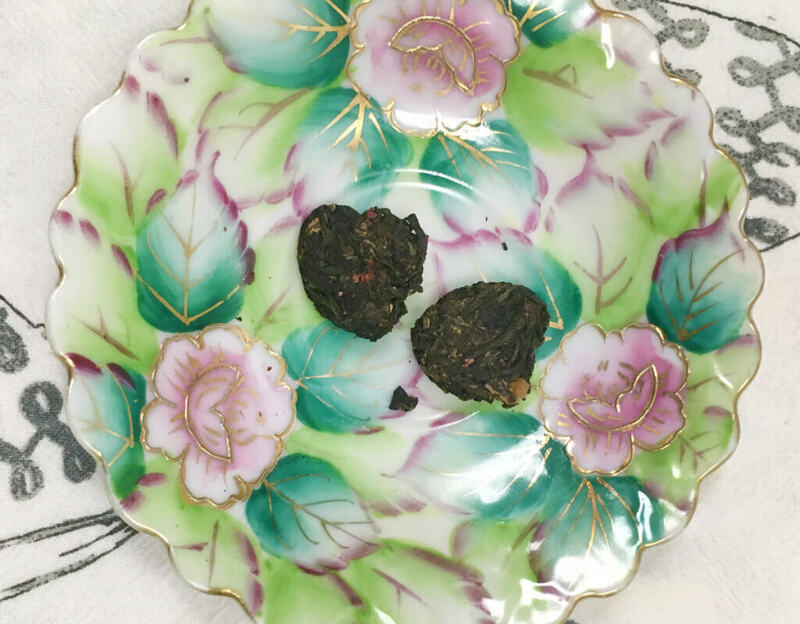 Try our Vanilla Rose Dark Tea Hearts if you want a good, reusable pu-erh. I’ve managed to get upwards of five good cups of tea from only one heart. As is to be expected, since herbal teas are so diverse, how many times you can steep an herbal tea depends on the blend, and what it is composed of. Check out our list of herbal tea ingredients to see what properties your favorite blend has. Flavored teas do not usually hold up quite as long, depending on what is used to flavor them. I have found that most of our blends last for around two steeps. Teas with strong flavors, like our Comfort Blend Black Tea may get you one more cup. Citrus is usually pretty resilient. Since bagged teas are often produced from the leftover dust and fannings of whole leaf tea, they are intended for a single use only. 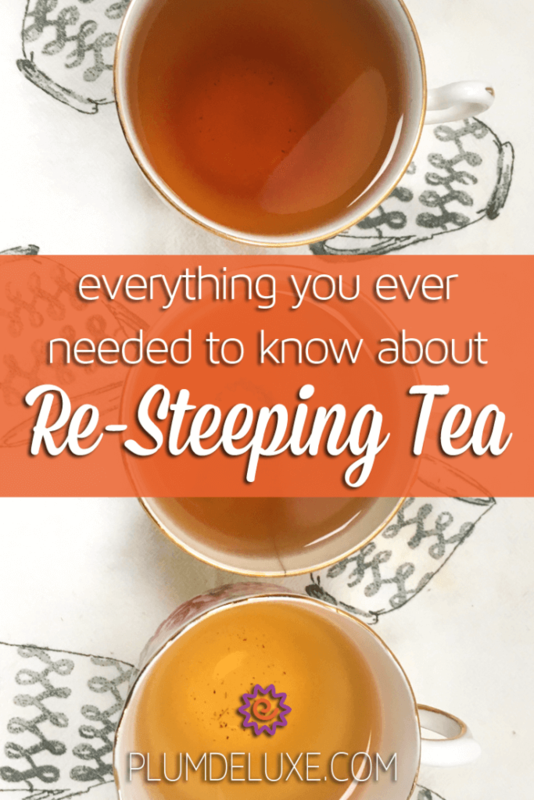 How Does Re-Steeping Tea Work? When you steep your tea leaves for the first time, make sure you are following the proper steeping instructions. General steep times and temperatures should be somewhere on the container your tea comes in. If not, check this chart. Try re-steeping tea within the first few hours of your previous steep. Wet tea begins to decompose, and loses its flavors over time. Putting tea in the refrigerator won’t hold off these effects for very long, and the flavors of other foods may seep into your tea. Some people like to increase the temperature of the water, or the time of the steep after the first time. The tannins that make tea bitter and astringent should be mostly gone after the first steep, so this will not affect the flavor too much. Certain traditions are dedicated to skillfully steeping and re steeping tea, like the traditional Gong Fu tea ceremony, which uses very specific tools and steep times to achieve many small batches of great-tasting tea. 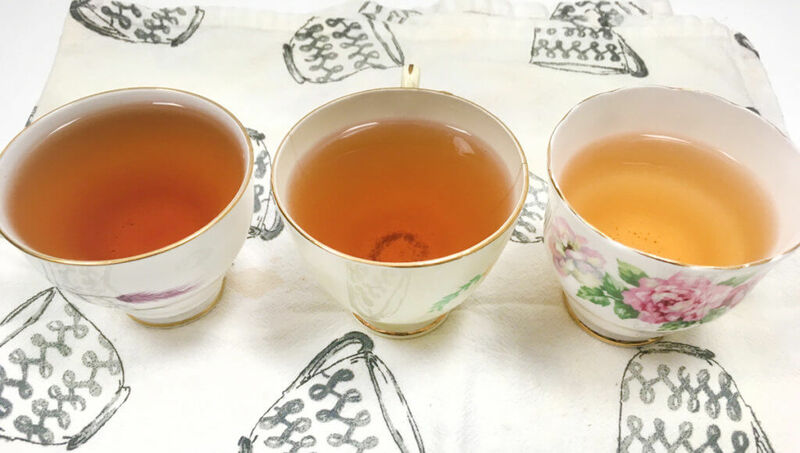 If you like your tea strong and have trouble getting even one steep to taste the way you want, check our our tips on how to make strong tea. Some of these principles can carry over into your re-steeps to give you more of the bold brew you are looking for. In the end, you are the one who gets to decide how many times you want to steep your tea. As long as the flavor is pleasant to you, keep re-steeping tea! Once the flavor becomes too light for your tastes, stop using the leaves. Tea leaves make a great compost or fertilizer for your garden, and some types of tea leaves can even be used in cleaning your home! Tea is an amazing resource, and with some creativity you can find many ways to use and reuse it beyond your first cup.